UBC team, including 3 residents from St. Paul's Hospital, treat an Emergency "patient" at the Simulation Olympiad. The man was brought to the Emergency Department from the nearby airport. He was agitated, confused and feverish. His heart rate was alarmingly high. The team of University of British Columbia residents responsible for treating him sprang into action. First, they had to make a diagnosis without the patient’s history, and only symptoms. Was it sepsis? Were these psychiatric symptoms? Was it a drug overdose? The doctors assessed vital and clinical signs, then conducted a rectal exam, which yielded the problem: a packet of cocaine. As a drug mule, he had ingested the packet, which later ruptured and caused massive drug poisoning. They administered fluids and drugs to decrease the heart rate, fever and agitation. To the six residents on the case, three of them connected to St. Paul’s Hospital, the situation felt very real, complete with high adrenalin levels and quick decision making. In fact, the “patient” was a high-fidelity mannequin whose vitals and other responses could be controlled. 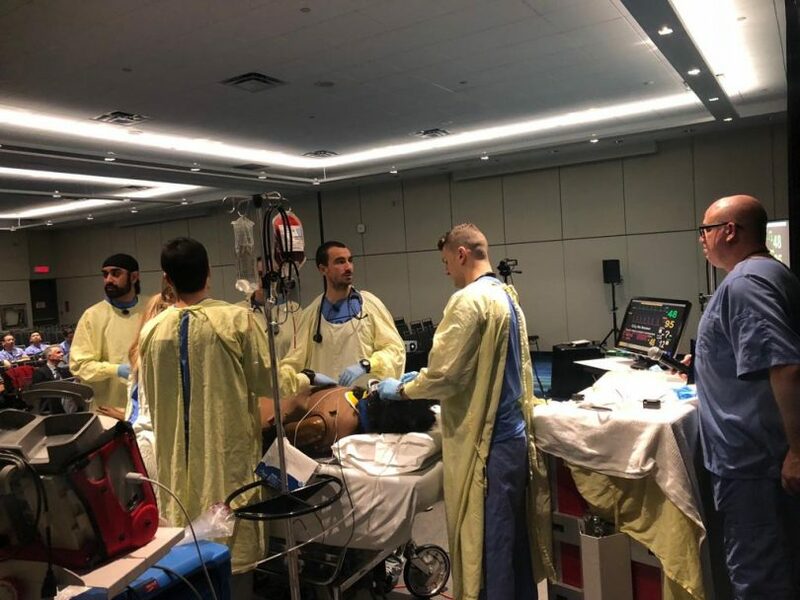 The doctors were treating him as part of an annual Simulation Olympiad held recently at the Family Medicine Forum in Toronto. They faced the added pressure of treating him in front of medical judges and their peers from across Canada. Their handling of this mock scenario, then a second, where they treated an elderly man who had suffered a spinal cord injury after falling in a bathtub and did not speak English, earned them first place in the competition. The judges praised their team communication, skills and knowledge. 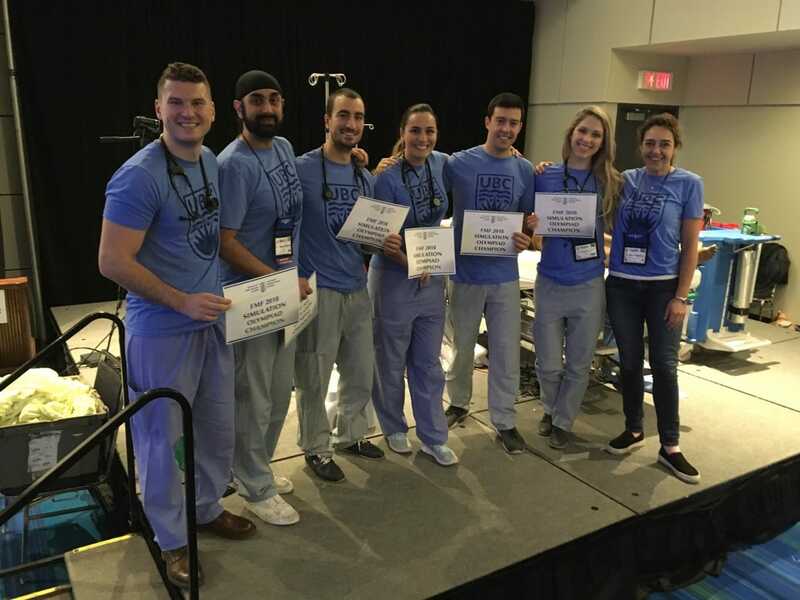 Dr. Indy Sahota, who is part of an enhanced skills residency program in Emergency Medicine at St. Paul’s and acted as team lead, says the competition was certainly nerve-wracking. “None of us had participated in simulation competitions before. We didn’t know what to expect, so it was pretty anxiety-provoking, which I think was the point.” The team was given bare-bones information only. An added stressor was that he and some others on the team are looking for jobs next year and potential employers were watching. St. Paul’s partnership with BC paramedics saves life of Vancouver man who was clinically dead for 52 minutes. Congratulations to six residents and their coach Dr Jeanne Macleod – well done guys !